Based in Yorkshire, Harrogate Apps has been creating bespoke applications for a wide variety of platforms for over 12 years. We have developed apps for computers, iPhones, iPads, Android devices and Windows mobile devices all with one aim in mind; to help our clients’ business grow from strength to strength and enable them to provide their clients with a level of professionalism and productivity that we ourselves aspire to. Regardless of the size of your company (be you a corporation, an SME, a government body or an individual setting out on the long journey that is the road to success) we here at Harrogate Apps have the experience, knowledge and drive to help you succeed. We have the resources at hand to build almost any kind of solution you might require, and a great development team to carry out the work. The long and the short of it is this; if you can think of it then we can develop it! We understand only too well the need to produce bespoke applications that work on a variety of different platforms and to this end we are often asked to produce software and applications that cross the platform divide; linking mobile technology with static database technology and giving both the business user and the end user the opportunity to commune and work together like never before. 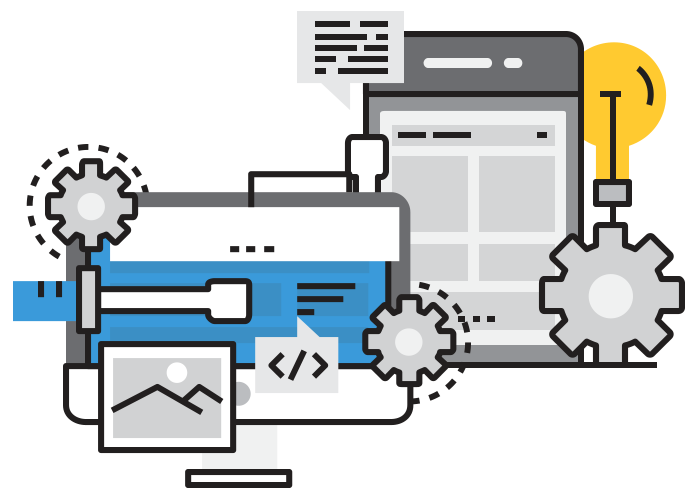 Our developers are skilled across many platforms and are always up for a challenge! From Windows (SQL, ASP.NET), Linux (Apache, MySQL, PHP), Mac (OS and iOS) alongside Blackberry and Android, we are uniquely placed to provide both new and existing clients with a first class bespoke application and software development solution that really will create ‘app’-ortunities for your business. 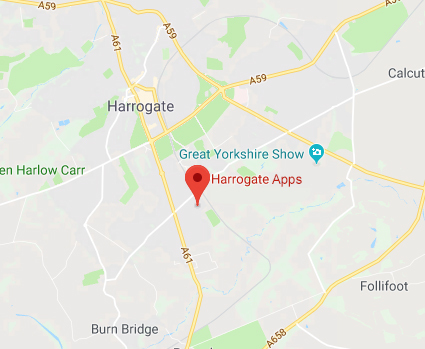 Although Harrogate Apps is a Yorkshire-based company we cater for and deal with businesses across the United Kingdom. If you have an idea for an application or bespoke software solution and want to talk to us about how we can integrate your idea into your existing or future business model then please do get in touch. Send an email or give us a call, or alternatively you can fill in the form on the ‘Contact Us’ page.